Pediatre-online is a project designed and piloted by pediatricians in collaboration with the developers of Ubicentrex. This 2015 project is aimed at reinventing the pediatric consultation and giving young parents the opportunity to have professional advice at any time. pediatric-online is an online platform of telehealth and tele-advice services. 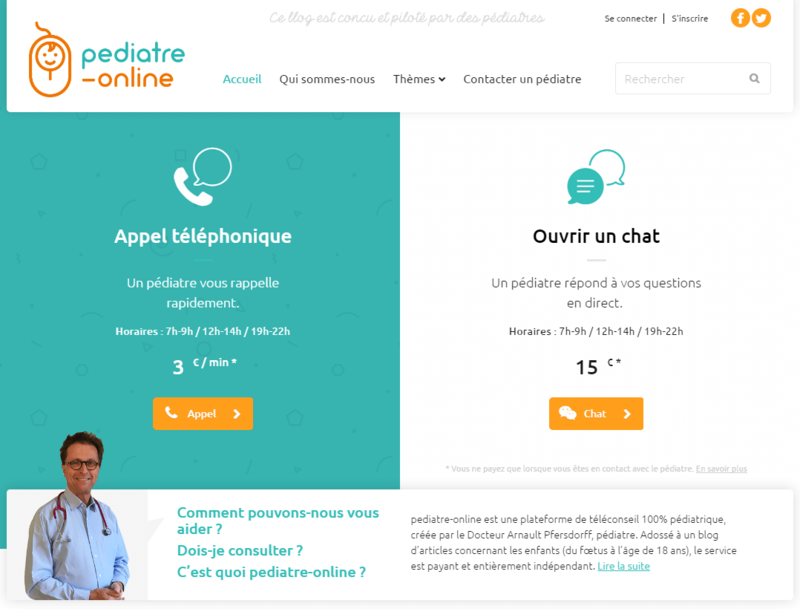 The renowned pediatrician, Doctor Arnault Pfersdorff, has presented to us his project : to create a website with a great ease of use which allows parents to access remotely to professional advice by phone or chat. After having clearly identified the need, our developers put the effort in to conduct the project. We have developed a secured interface based on our current solution, which allows pediatricians to handle calls and respond to live chats of patients. "We faced many challenges during the implementation of the project. We had to review some of our protocols, but finally, we have been able to deliver a complete and functional solution." Thursday, November 25, 2016, Alsace Innovation presented his "Health excellence" trophy to pediatrician-online. This award recognizes the exceptional work produced by the developers of Ubicentrex, especially the innovative and promising dimension of the project pediatre-online. 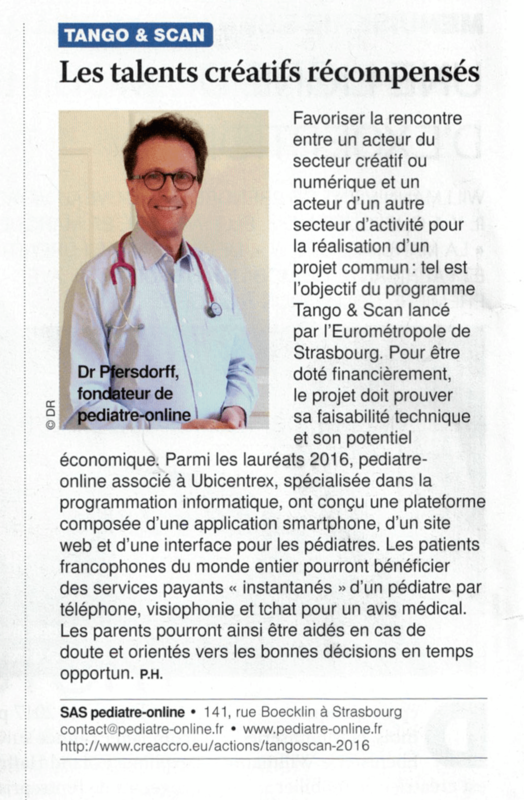 Pediatre-online received a grant from the Eurometropolis in Strasbourg. The project, which is recognized by the National Council of the order of doctors, has been awarded for its innovative aspect.